This is not a "typical" Neil Gaiman story. Many of Gaiman's books have had mythological heroes and villains as their central characters. Very often these characters have been Norse gods - for example Odin in American Gods. 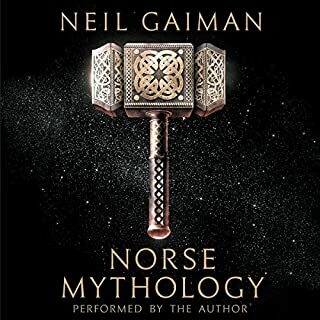 In this book, Gaiman tries to pull all the known and remaining Norse legends together almost as if they all form part of one big narrative. He is somewhat successful and any shortcomings or gaps in the story are there because large parts of this mythology has been lost. The overall result is reasonably satisfying. If you are a dedicated Neil Gaiman fan, you will find this interesting. 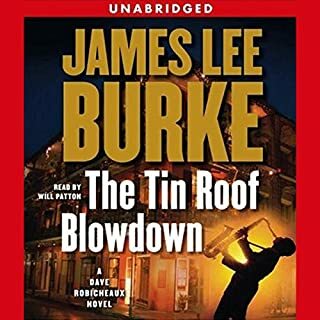 This is a post-retirement Rebus story but the plot is intricate and there are some satisfying twists and turns. Malcolm Fox - formerly of the Complaints - features as one of the main characters along with Siobhan Clark and Big Ger Cafferty. While the story itself was very satisfying, the narration by James MacPherson made it even more enjoyable. MacPherson brought out a full range of Scottish accents and was able to give each character - no matter how minor - their own unique voice. I enjoyed his reading so much, I listened to it again after I had finished the book. 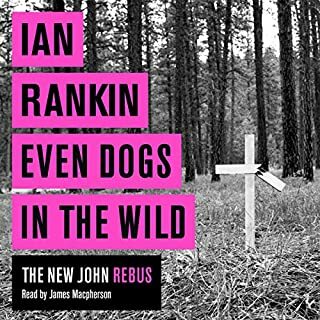 If you are a Rebus fan, this is a very satisfying story that is well told and very well presented. Highly recommended! A strong story with good action and suspense! I liked a number of things about this book: the idea of people literally transforming into animal totems was quite unique and was handled well. 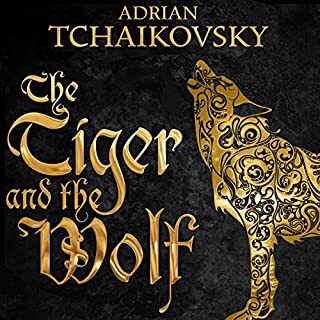 The main tribes of the wolves and the tigers are presented clearly and you can understand most characters' motivations depending on which tribe they come from. The main characters are well-defined and stay true to their intentions, with Maniye, the main character being the most deeply defined and described. She is a "mixed" race person with two totems - one wolf and one tiger. Since these are traditional enemies she is torn between these 2 worlds and her two "souls" are constantly fighting for supremacy within her.. The story has lots of action and tension (sometimes almost too much) and tracks her escape from her father's wolf clan and the many perils and adventures she encounters along her search for freedom. Often her path is crowded with unexpected twists and turns. The action starts quickly and rarely lets up but the plot is very involving and I found it hard to stop listening at times. I have 1 small criticism with the story. Too often in fantasy stories there is a pattern where the hero's plans always work out very neatly and, even though things get tense, there is very little doubt that the hero will succeed. This book is almost the opposite of that pattern. Almost nothing that Maniye tries ever works out or ever for any lasting result. That happens regularly and without fail and you begin to wonder and worry if she is ever going to survive. But as she journeys further and encounters more characters and people very different from the wolf clan she grew up with, she gains experience and starts to understand the harsh world around her. One other small criticism would be the narration. 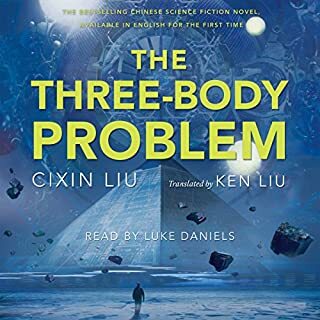 The narrator generally does a good job, but she sometimes has a hard time with the voices of male characters who are supposed to be very large and very tough individuals. The voices of all the characters are usually easy to distinguish but there are a few spots where you may wonder "who said that?" Overall, this is a very good story and has some very unique features you may not find in other fantasy novels. I recommend it. I enjoyed this book very much. The story was compelling and served up lots of twists and turns. The characters were well developed and believable and the story moved along at a steady pace. It was hard to put this down. The reading done by Will Patton was excellent. He kept each individual character separate from the other and brought out the qualities and characteristics very well. The story also gave a nice snapshot of life in and around New Orleans and gave a sense of the place. I recommend this book if you are looking for a police story with some nuance and well-developed characters. This book continues - indirectly at first - the story that started in Oryx and Crake. New characters are introduced and their stories are slowly developed. I found the God's Gardeners to be among the more "normal" characters in this story and the new characters, Toby, Ren and Amanda - along with various side characters from the Gardeners and other groups - to be more direct in their presentation than in the first book. The phrase - it's a small world - is very to the point in this book as connections to characters in the first book are drawn out. The story is well developed and if you enjoyed the first book, this is a good continuation of the story. The thing that put me off the most were the "musical interludes". Someone decided that the hymns of the Gardeners should be put to music and they get the full treatment. This got very annoying after a while at least to me. The presentation of the music with electrical instruments, etc. didn't seem in character with the Gardeners. I think they would have used guitars or zithers or something from a jug band. It was the only thing that distracted from the story which moved along and had some good moments of tension in it. This book gives a sharp insight into how a very modern apocalypse could occur. The story is told through the dreams, hallucinations and flashbacks of Snow Man, a human survivor of the apocalypse. Slowly, Snow Man's tale is revealed starting with his childhood. 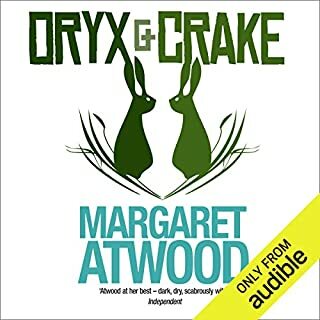 His accidental role in the events that bring about the end of modern civilization is brought out gradually as is his friendship with Crake and his love for Oryx. For me, Snow Man made a slow transition from someone who didn't care about much beyond himself to someone who was coming to grips with what had happened and now had responsibility to care for the others, in the case, the Crakers. The vision of the world just before the collapse is very believable, very cynical and pretty depressing. Overall, it's a very good book. For people familiar with video games - and I mean DEEPLY familiar - as well as 80's pop culture trivia, this is an wild and entertaining story. 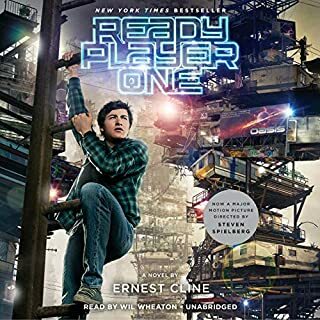 If you're not very familiar with the gamer culture and not too tuned in to 80's pop culture, then I think this book could be very frustrating and confusing. The whole story is told from the viewpoint of Wade Watts who grows up in the stacks in Oklahoma. Wade - along with millions of other gamers around the world - is trying to find the ultimate prize in the Oasis, which seems to be the next generation of the internet plus gaming. The story moves along fairly quickly and keeps you interested. If you like video games and game nostalgia, the 80's and lots of nerds, this is a satisfying read, er, listen. It will be interesting to see how the movie compares to the novel. 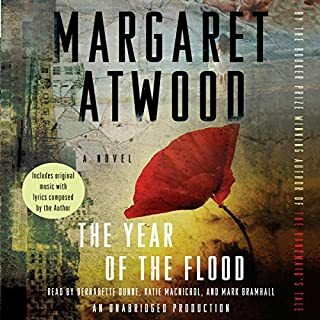 I read the hardcopy version of this novel when it first came out and I found as I listened to the audio version that I had forgotten almost everything about the book. The narration by the different voices is very effective and adds a lot to the enjoyment of the story. The story itself is almost a "who-done-it" although it's more like a "why'd you do that?". 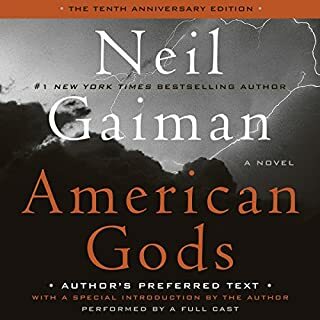 If you are a fan of Neil Gaiman and you haven't read American Gods, I highly recommend this audio version. It really brings the story to life. 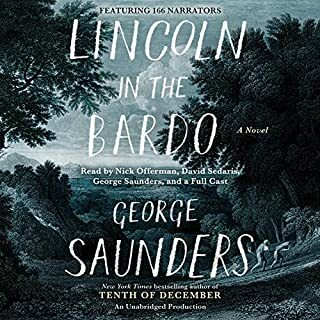 Even if you have read the novel, I recommend that you try the audio version. It provides a very rich experience of the story.